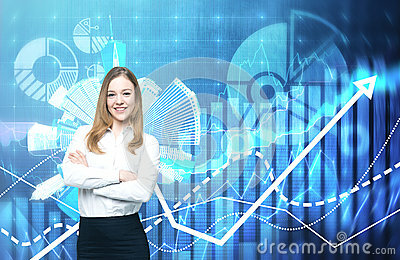 A beautiful business lady with crossed hands is going to provide financial services. Financial charts on the background. A beautiful business lady with crossed hands is going to provide financial services. Financial charts on the background. A concept of financial consultancy.